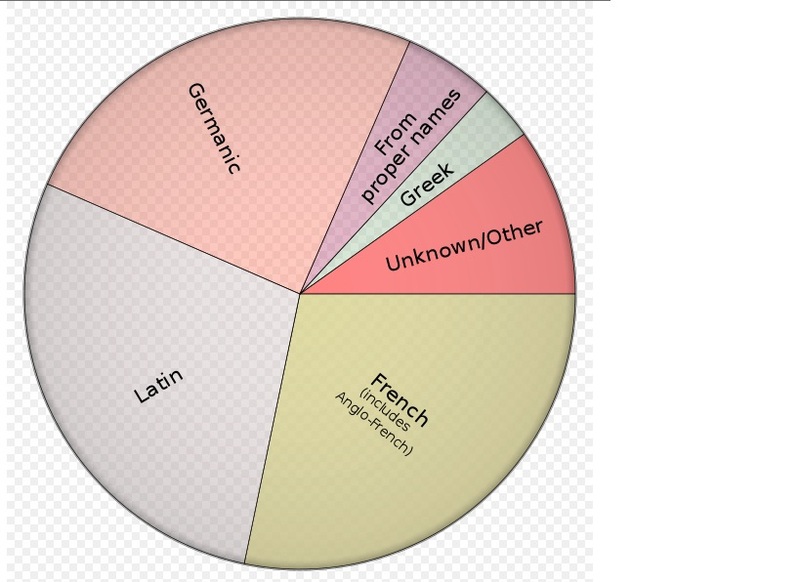 The origin of English words. I just want to remind all my tweeps to refrain from photobombing me unless you want my ripped OH to set a micropig lose on you during one of your date nights. It sounds ridiculous, and it is, but how many of you recognized six new additions to the online Oxford Dictionary? After all, language is an evolving art form and 2013 saw some interesting additions to the grand old tome. Usually by the time slang is incorporated into something as old and wise as the dictionary, many of us are already using the words or have heard them in some context. Old and wise as the dictionary? Dictionaries have been around forever, right? Not so fast. The Oxford English Dictionary really isn’t as ancient and definitive (yes- a pun!!) as you might think. It wasn’t until 1857 that the Philological Society of London got together and started to think about putting together a dictionary of the English Language. After five years of hard work, the authors had reached the word “ant” and realized the project was going to take much longer than the planned ten years. Published in multiple volumes, The Oxford English Dictionary (affectionately known as the “OED”), was finally completed in 1928. 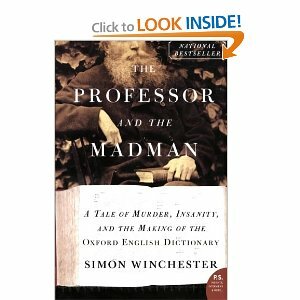 If you want to read more about this Herculean task, Simon Winchester’s book, The Professor and The Madman: A Tale of Murder, Insanity, and the Making of the OED is a great read. Language is all about communication and for us to understand each other in the ever evolving reality of today’s world, we have to keep up with the ways in which science, technology, entertainment, and social media change things. These are the areas that probably contribute most of the new words. Gone are the days when writers like Shakespeare created his own words and Lewis Carroll coined vorpal, chortle, galumph, and burble. But maybe not. New words are added every year and they have to come from somewhere. Maybe you will come up with the next slick phrase for something. In the meantime, let’s take a look at a few of the new entries for 2013. I’m off to look up cloud computing! This was fun to read–well-written, entertaining, and informative. Hanging around young people alerted me to tweeps and photo bombing, but I’d never heard of micropigs until just now. Something I’ve found interesting about our language is how we’ve turned so many nouns into verbs (like texting and texted). I read the Professor and the Madman, and agree it is a fabulous read! In another life I would have been an etymologist. Thanks for a fun read about new words. Glad you liked the piece! I’ve always admired the English language, and it’s abundance of synonyms and words. Its a fun, and confusing language. Also, I’m kinda surprised at the slang that’s been included. I suppose it is a testament to the importance of language as a whole. Reblogged this on Warren M Tang. I happen to be a huge fan of literature and fiction. I think the English language requires a structure and an identity. If people just go off half-cocked and start creating new words willy nilly, we’ll end up with a language that just doesn’t make sense to anybody. Even Willy. This has been an ongoing debate for centuries. Purists resist the entry of new words but they eventually come in as the language has to adapt to new ages. I recently had to quote the oxford dictionary for a photography assignment on the subject of photobombing. I was surprised to even find it there! This is very interesting and informative indeed ! I remember this one. Fascinating book! I read a biography about Carroll and was so taken with him, I built an entire novel around him. Of course using the Wonderland books made it easy but Carroll was certainly a fascinating person. Kia © All Rights Reserved. Reblogged this on The Review. Because I just plain love words, and because I want to share this! Now I know what to call myself – flexitarian. It sounds better and more accurate than mostly vegetarian. I do know cloud computing, but not micropig. I’ll have to check that out some more. Thank for visiting and liking a post on my blog. I enjoy learning new words and get Dictionary.com daily word. Good job. I’m stuck on ant. Let me reblog this so that I can treasure it. Such a fun exploration of the value of words- and really interesting too. I’m looking forward to reading a bit more from you, and thanks for stopping by blog too! I’ve been calling myself a vegaquarian because I have fish once in a while but no meat. Enjoyed these. I would like to reblog this with your permission. Please email me at aopinionatedman@gmail.com if that is ok. Thanks! Am I the only one who thought of chemistry when you wrote “OH?” Maybe my mind is just too just basic for this blog entry. I loved The Professor and the Madman and I really dig your blog! Thanks for the interesting read and for visiting our site! Didn’t Doctor Johnston create a dictionary in the 1600’s? Sorry to ‘buzzkill’ the party. That’s a good word. Not sure. Up until the OED, there had been word lists and smaller attempts at writing dictionaries (like Noah Webster in the US). Words are wonderful, aren’t they! I’ve had The Professor and the Madman on my shelf for months now and appreciate the nudge to actually get to reading it. That first sentence was quite frightening ! But I woud rather see them add news words to our vocabulary than keep modifying the meaning of older, cherished (to me) words. I used to have an interesting book called Mrs Grundy which traced the change in the meaning of words over the centuries but now I look forward to reading the one you have recommended. I’m a firm believer that language is defined by its users and not any outside authority, but there is still a part of me that agrees with your sentiments. Creative use of language is wonderful, but do we introduce too much ambiguity into our communication by not taking care of our definitions? My favorite is “ripped” bc it’s meant as a good thing, though the term comes from how you have to tear down and destroy muscles in order for them to grow back stronger…so weird! I’m surprised to discover ‘ripped’ just made it into the dictionary! The only thing that threw me in the first sentence was OH. 😉 That’s a new one to me. I love how language evolves. And The Professor and the Madman is a wonderful read. That’s awesome and I actually learned something new about English. The more I know the more I realize there’s alot I don’t know! This is what some might call ‘yoof speak’ – so don’t be surprised to find a lot of profanity and non-PC definitions. On the other hand, today’s teenagers and 20-somethings are tomorrow’s adults so expect at least some of these words to filter through in the next few years. It’s at least 10 years old now but “Mother tongue” by Bill Bryson is an awesome read for anyone who has the mildest interest on words, where they come from and why one survived over another. Fun and interesting. I wrote a column once on cell phone acronyms. I had to look up many of them because other than LOL, I didn’t know many. You are such an amazing writer! If I could LOVE this article I would! How nice to hear! I wish you were an agent because after firing mine, I’m not connecting with anyone who holds me in such esteem. LOL! I really enjoyed reading “The Professor and The Madman”. I’d have to say that if I had to choose one book to accompany me on a desert island, it would have to be the OED: It contains all the ideas, aspirations and possibilities that man has so far identified, and as you point out, it is a living document, evolving with the times, even if we have to endure the occasional “tweep”. Five years to get to “ant?” I’d have gone mad after six months! A few years back, I remember, the OED added, “Doh!” Now that’s a word I use fairly often. That was my thought, exactly! What a boring (but challenging) job, to move so slowly through an entire language! A lot of the work was done by volunteers, kind of like today’s Wikipedia contributors. What makes the OED pretty unique was that they went back and traced the first use of he word in written English by searching rare books and manuscripts. Didn’t understand any of that first sentence! Have been listening to Terence McKenna talk on “language of the unspeakable” and how elfs use glossolalia to communicate yet are completely understood. Yeah, that whole thing about the preoccupation with language really got me. Telepathic translation would be a good thing but at this point, I don’t think I need to worry. Yet. I didn’t see those make it into the OED but they might have made it into another dictionary (they all have their own rules). THe speed of technology doesn’t allow us much time to grasp things anymore. I know I’m old because I don’t recognize any of the people on the talk shows and know so few in entertainment nowadays. And to think, I used to laugh at my parents for being so out of it! We are currently teaching our year 10’s (15 year olds) about multi-modal language – in other words, text – speak. The amount of analysing that can be done over the simple LOL or OMG is unbelievable! But it serves the purpose of emphasising the evolution of our language and many commentors are not critical of it as long as it is used in the correct place (not on a job application, for instance). I would think that once the word or phrase makes it into the dictionary, it’s only a matter of time before in shows up on job applications and other forms of formal communication. Just like I have trouble understanding body piercing and tats, I know my kids have no problem with it. I’m a dinosaur and I know that language will never be held captive to the past (read here as “my past”). LOL! 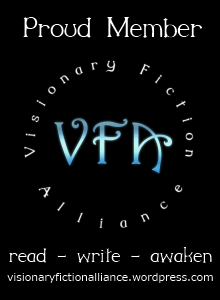 Something science fiction writers gloss over. We’ll have to come back with a techie device that translates for us. Glad I’m not the only one who didn’t know what cloud computing meant!